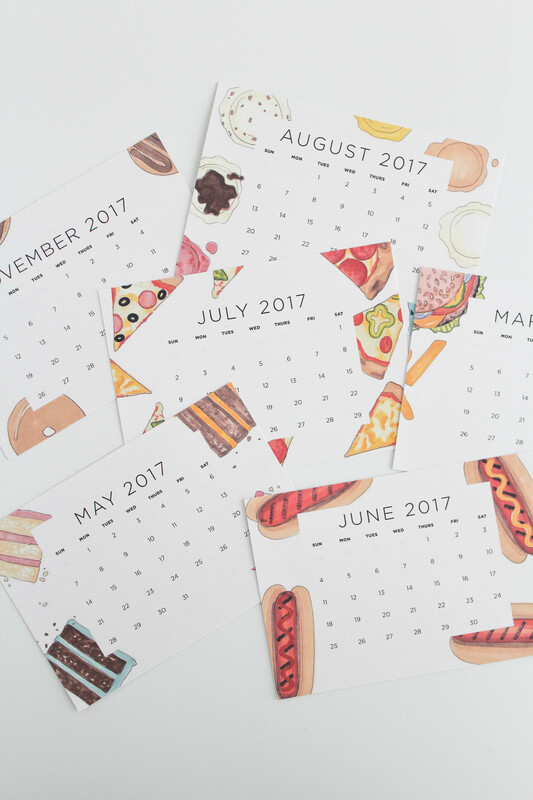 This 2017 free printable snack calendar is a perfect (and delicious) way to ring in the new year and enjoy all of the coming months! There’s no shame in my snack game. Wow. I can’t believe it. After almost a year of taking a break from the blog, I’m officially back (and with an adorable first post, if I might add. This 2017 free printable snack calendar is seriously my life). The beginning of a new year seems to have a magical effect, doesn’t it? Like you can totally transform into a different person. You can put the past year behind you and move forward with an entirely new outlook, regardless of what the last year had in store for you. That’s exactly how I feel about this new year. It’s a fresh start. Not just for me alone, but for the blog too. It was the perfect time for me to get back into my groove and get me excited again. The blog is my creative outlet where I get to share the things I’m passionate about with all of you guys and I definitely didn’t want to force it when I wasn’t feeling it!